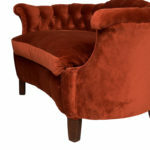 Vintage French camelback settee in red velvet. 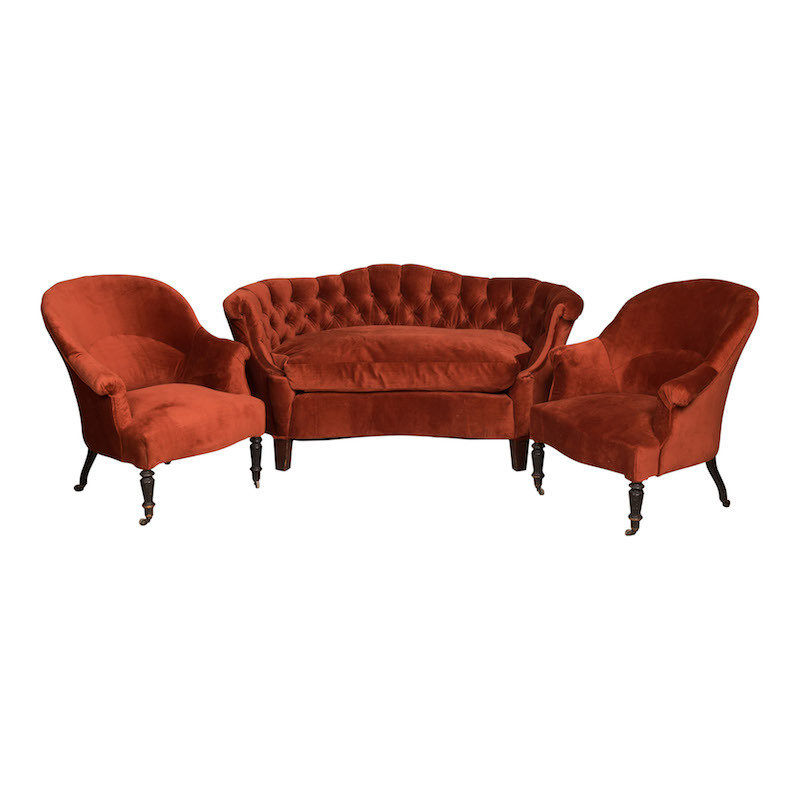 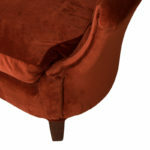 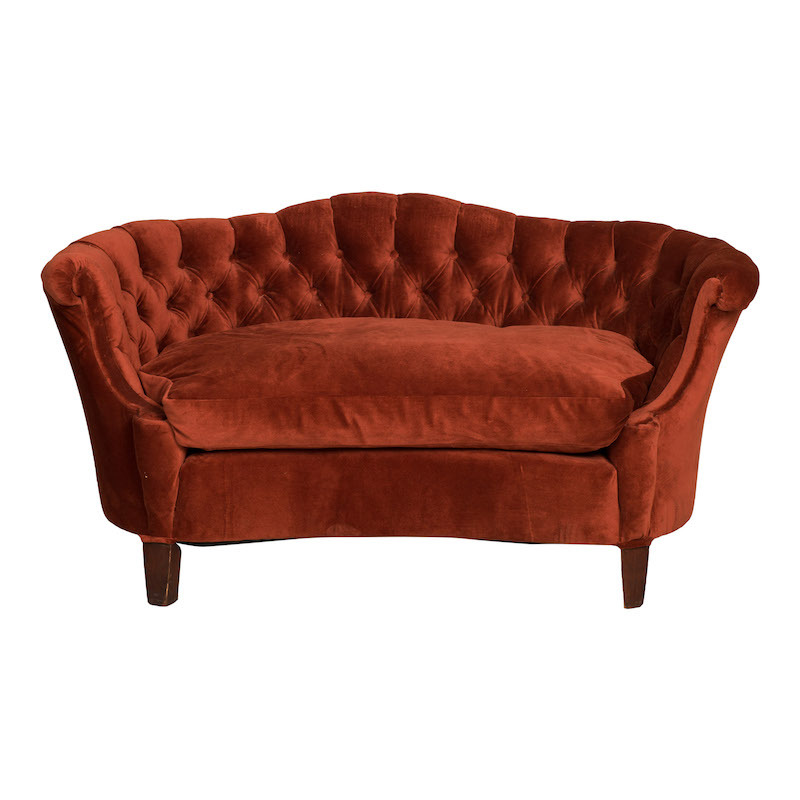 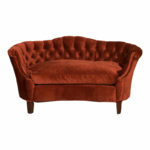 Features a button-tufted back, removable cushion and square tapered legs. 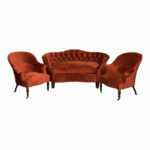 Matching set to the Avera Armchairs.